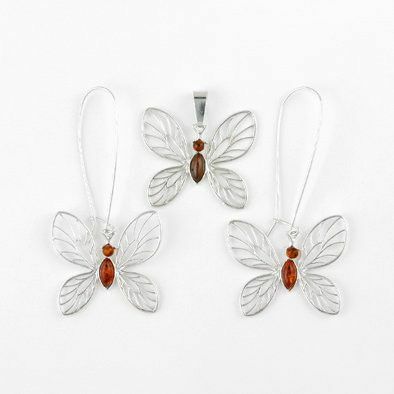 This amber jewelry set is perfect for spring! 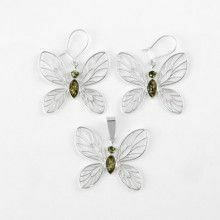 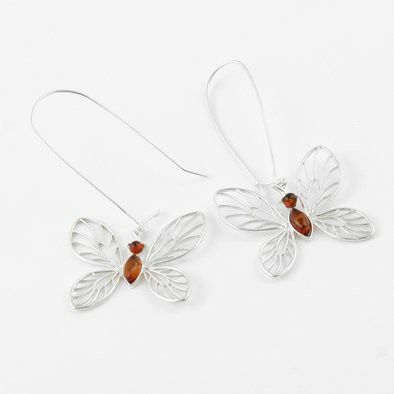 Honey Amber stones with unique natural inclusions form the head and body of these striking matching butterfly earrings and pendant. 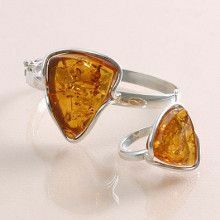 Marquise-shaped Amber forms the body and a round Amber stone forms the head, set together in elegant .925 Sterling Silver wings. 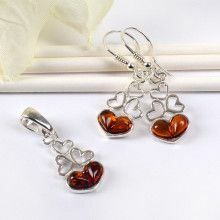 The earrings dangle from an extra long latched hook, and the pendant hangs from a large Silver bail. 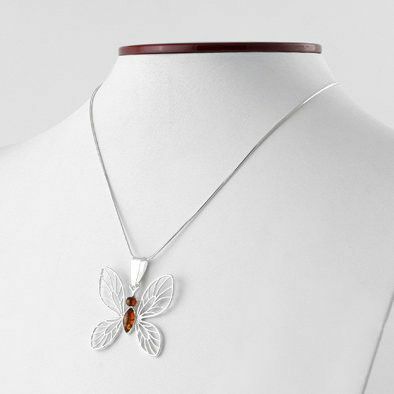 Pendant Measures 1 1/2" x 1 1/2"